itopia provides an online Status page for all the services offered through our software. 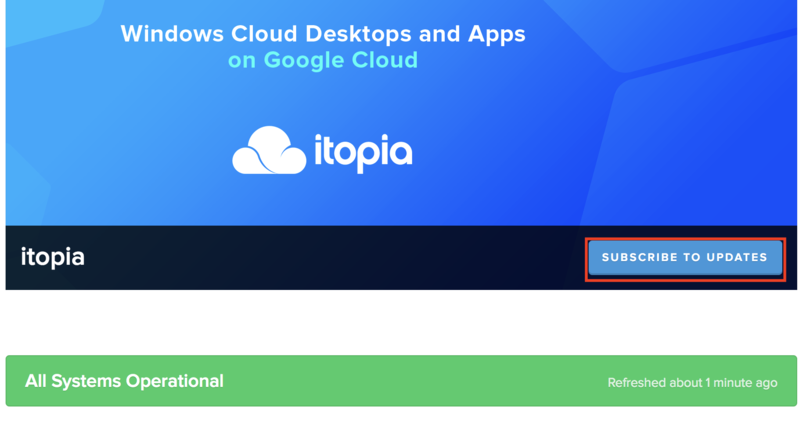 The services include all https://cas.itopia.com/ features and components. The best way to be informed about service interruptions and to get system maintenance notifications is to subscribe to receive Status page updates. 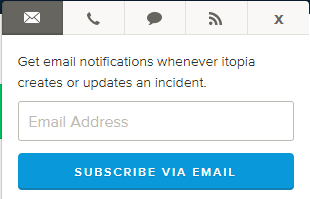 You can subscribe with your email, phone number (sms) or RSS feed. Once you subscribed you will receive live updates about outages, disruptions, maintenance and performance automatically via your selected channel.